„New Gen eration – SIZAK” opens the next page of Korean contemporary photography, and forecast hereafter through the lens of 8 most talented young Korean photographers. They will show the most of experimental possibility and originality based on historical consciousness. 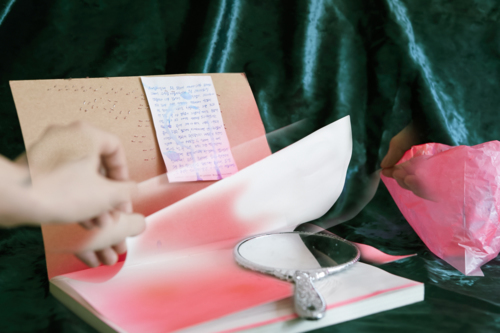 These 8 young photographer artists, the newest generation (Ari Kim, Bora Sung, Chankyu Kim, Hyungsik Kim, Jaeyeon Kim, Taejoong Kim, Jungjin Ahn, Taejun Yoon, Youngdon Jung) introduce their very first work mainly with the unpublished, and furthermore the ‘Project Hommagination’(2014) will be first unveiled. The exhibition, above all has a meaning in attempting to encounter with historical sense in our time, finding a clue and a source of inspiration from roots in Korean history of photography, not from the Western aesthetics and artistic trends. The exhibition was held by the museum of photography Seoul and for Laznia it will be curated with new artists with their most recent works. The Korean word ‘Sizak’ has two meanings: ‘beginning’ and ‘study’. ‘Sizak’, which is also the title of this exhibition, also refers to the commonality of the eight young participating artists who are trying to find their roots from the period the Korean photography art started and creating their stories in their own ways. Traces of the space, people, and memories that the youngest photographers of Korea are experiencing in the society called South Korea are infused with their confusing emotions, worries, and self-examination, and for the most part, closely reflect the everyday life and worries of the young people currently living in South Korea. A Korean proverb says that ‘well begun is half done’. The participating photographers are seriously attempting a new ‘beginning’, not by any external influence but by their own contemplation on the society and history of where they belong to. And I believe they have already well begun.